cumulative preferred shareholders of record on September 24, 2018.
five-year non-call period on September 11, 2023.
distributions for the 2018 calendar year. 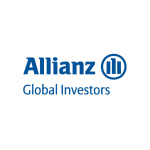 is a member of Munich-based Allianz Group. or by calling the Fund’s shareholder servicing agent at (800) 254-5197.
well as the Investment Company Act of 1940.